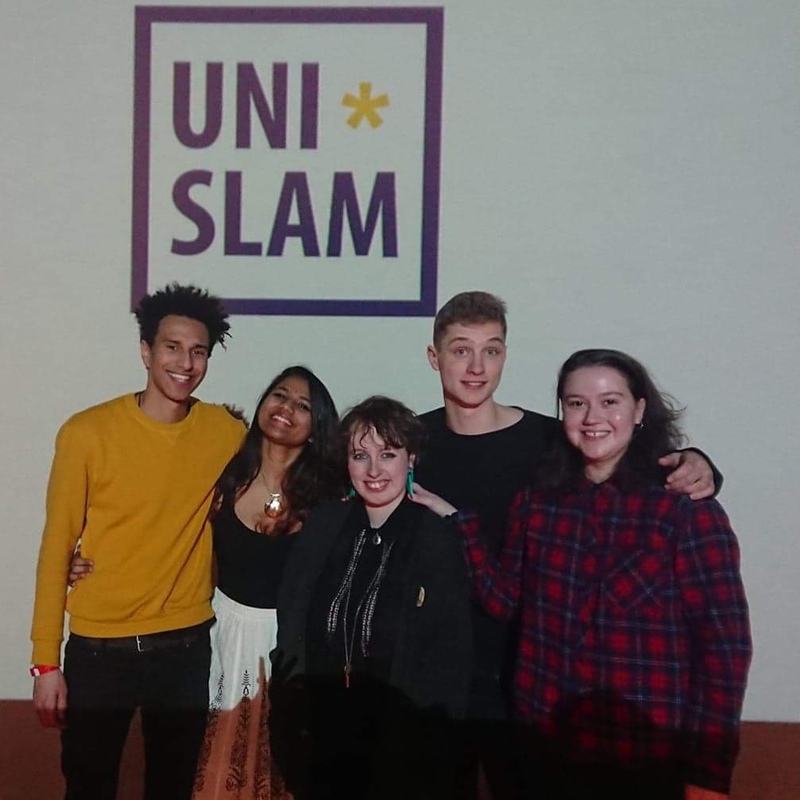 Squad writers Fahad Al-Amoudi, Prerana Kumar and Kym Deyn reached the semis as the Durham University team, at the recent Uni Slam in Birmingham. The Durham team beat last year’s champions Birmingham in the semis, and finished second runner-ups, with Squad writer Prerana Kumar winning Verve Poetry’s Poet of the Slam award. Fahad, Prerana and Kym are pictured with their colleagues Charlie Spence and Shoshana Anderson.